I’m giving away a free iPad (or something else). Different people are motivated by different things. I decided to motivate the Graystone Staff Team with a reward. The staff members who recruit the most volunteers to Vision Night/Leadership Summit will receive a free iPad (or something else). Vision Night is so important that I wanted to make sure every staff member did everything they could to recruit their incredible volunteers to attend. A simple mass email from me to our church database was not going to cut it (Although, I know that ya’ll love my weekly emails.). So, if you serve in a volunteer ministry area at Graystone and would like to help the staff person responsible for your ministry team (I.e. Katie: Children’s Ministry; Nate: Small Groups; Heath: Tech Team, etc. ), then you can support them by being at Graystone on Thursday night at 7:00PM. I will actually be giving away 2 ipads (or something else). I will be giving an iPad (or something else) to the staff member who has the highest number of volunteers present and a second iPad (or something else) to the staff member who has the highest percentage of his or her volunteers present. So, I’m anxious to see who is motivated to win a free ipad (or something else). Monday Download: Whiteout, Fresh Prince, Golden Rams, a word to single parents, 1% and let me tie up a few loose ends. Jonathan,,,,I could be motivated to in an ipad by coming to the Vision Night to represent the Prayer Team, Children’s Ministry and the Hope Center even though I am leaving at 7:00 am on Friday morning for an Extreme Response staff meeting in ORLANDO! WHAT a sacrifice….I could be home packing and getting ready but I’ll be at my church instead! Every missionary needs an ipad to keep up with all their schedules and events!!! 🙂 I really enjoyed your message on Sunday…even though my son is 25, I found many pearls of wisdom for our relationship as adults! Have a great Thursday and I’ll see you at 7! Pat, ER and Graystone are honored to have you serve. If ya’ll need me for the Orlando meeting, I would love to go thaw out. This post is… “..something else”! Well – who got the ipad?? I’m on pins and needles. I heard great things about the meeting, sorry we weren’t there. However, if you don’t believe any one is worthy, I will be happy to accept it. 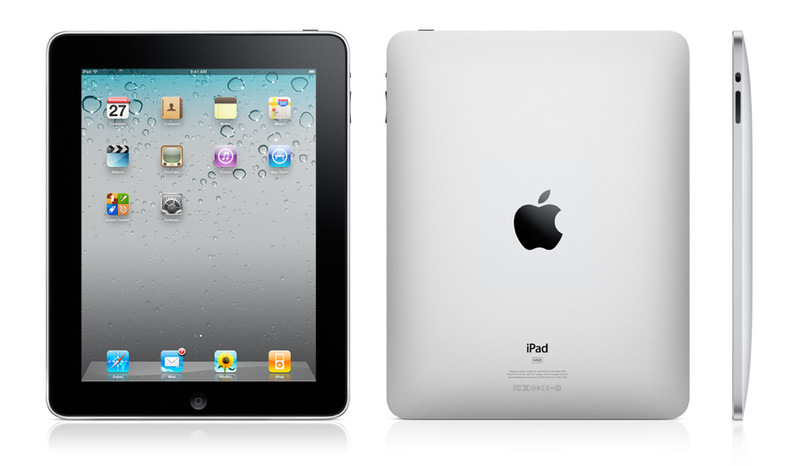 I will be announcing the winners and giving out the iPads (or something else) at the next staff meeting.